What began 16 years ago when painting contractor Calibre Environmental Ltd. wanted to find an innovative way to deal with leftover paint, is now a company reaching the three million gallons of recycled paint mark, with six million kilograms of paint cans kept out of the waste stream. Calibre Environmental Ltd. Is a key player in the Alberta Paint Stewardship Program, collecting post-consumer paint throughout Alberta and western Canada before processing and selling the 100 per cent recycled paint in stores under the EcoCoat brand. The paint is of premium quality and the most eco-friendly on the market, meeting or exceeding standards of more expensive virgin latex paint. 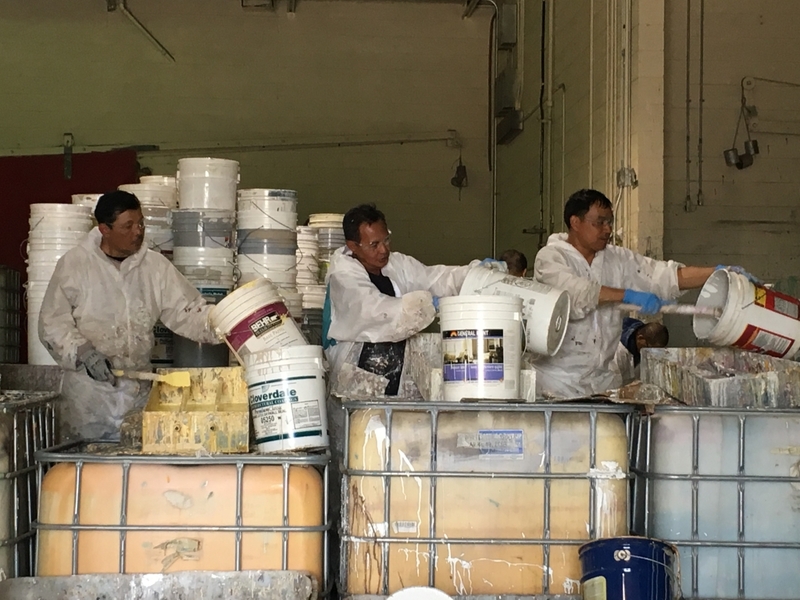 Using drop-off sites, unwanted latex paint is collected in original containers and then opened, sorted by colour, filtered and repackaged for sale. Every step of the process is done without need for new raw materials or water, representing a smaller environmental footprint for industry and consumer alike. EcoCoat was first sold in three base colours as a primer for drywall, concrete blocks and stucco, but the brand is now offered in 14 colour options in industry-standard 3.78 litre packaging. It is sold to a growing network across Canada and even to regional markets in the U.S. under the natureSecret label. An Alberta leader in waste reduction, Calibre Environmental Ltd. offers EcoCoat to government for public sector projects and donates paint to not-for-profit groups throughout the province.